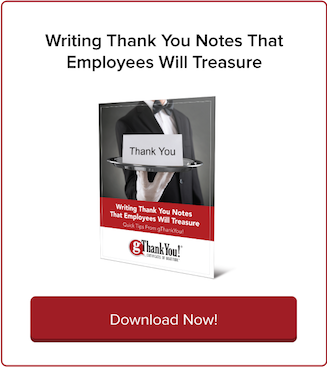 3 Mini-Case Studies in Employee Appreciation | gThankYou! Hppy’s infographic Top 10 Best Workplace Incentives has three criteria for worthwhile employee appreciation. First, it reduces turnover. Watching coworkers quit in frustration is demoralizing. It feeds gossip and unhappiness among staff and slows down productivity. We’d add a fourth criteria for great employee appreciation: a strong, genuine sense of gratitude. 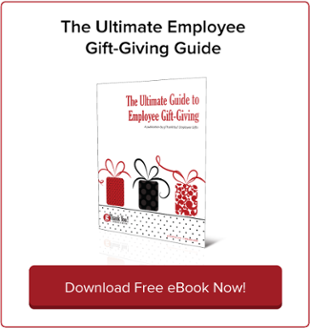 Without clearly communicated gratitude, employee appreciation efforts fall flat. Gratitude is also essential to your company brand. Lack of gratitude drives job dissatisfaction, turnover, absenteeism and burnout. It sours the culture. 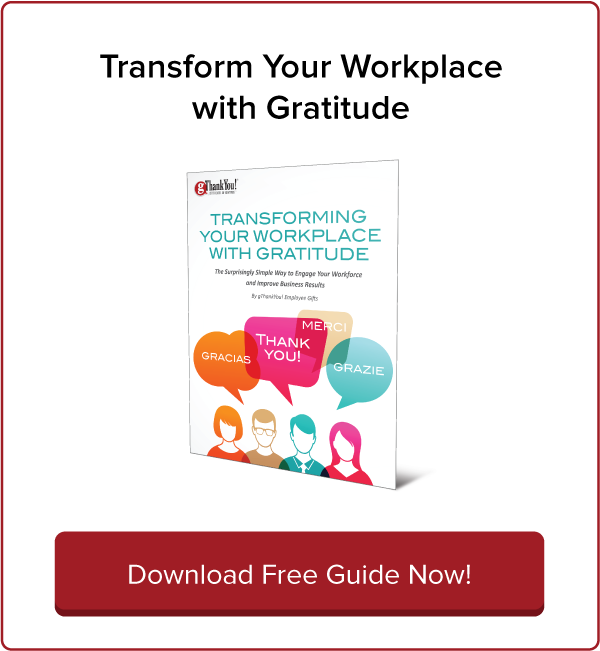 According to gratitude expert Robert Emmons, quoted in the Fast Company article “The Science of Gratitude and Why It’s Important in Your Workplace,” expressing thanks is the remedy. “Grateful individuals live in a way that leads to the kind of workplace environment that human beings long for,” he says. Truly effective employee appreciation is a balance of action and attitude. Gratitude-filled employee appreciation helps your team stick together, focus, innovate and pursue excellence. Here are three case studies of employee appreciation done right. Be inspired — and don’t forget to celebrate Employee Appreciation Day on Friday! Experts say employee appreciation is best expressed in person by company leaders — and this is especially relevant for farm laborers working remotely in fields. Taylor Farms of California did this kind of “hands-on” employee appreciation when it surprised two teams of pickers out on the field, according to an announcement in Perishable News. Nearly 30 team members were honored and surprised with breakfast, coffee, handwritten Thank You notes from Taylor Farms and $25 gift cards. In addition, each crew got two raffle prizes. “We pride ourselves on taking care of one another. With family culture being our foundation, it is essential that we show appreciation and support to team members across the company,” said Christina Barnard, director of marketing at Taylor Farms. Taylor Farms planned the celebration with the help of the Yuma Fresh Vegetable Association and Labor of Love, an organization that raises awareness about and shows appreciation to farming employees with efforts such as breakfast on the farm for farm crews, random acts of kindness throughout the season and sharing stories of workers. You’ve probably heard about PepsiCo CEO Indra Nooyi‘s much-publicized tradition of writing an average of 400 Thank You letters each year to her employees’ parents. She recently explained why she started the practice — and the effect it has on employees. She says the idea started on a visit home to her family in India, according to CNBC. Nooyi realized it was her mother and her late father who were responsible for much of her success, and they deserved to reap the praise. She wanted to do the same for the parents of her executives at PepsiCo, and started writing letters. Parents wrote back to her to say they were honored, Nooyi recalls, and shared the letter with friends and family. Download Your FREE 2017 Employee Recognition Calendar! Download the gThankYou 2017 Day-to-Day Employee Celebration Calendar for resources and advice to help your organization thrive this year. 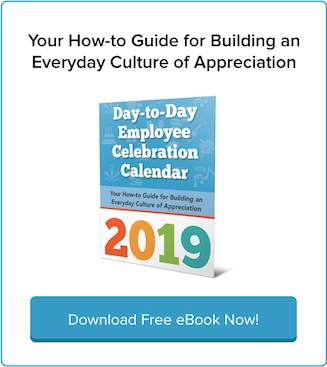 Our calendar guide gives you the tools and inspiration to build a culture of appreciation every day of the year. Download yours today, absolutely free. Here’s to a happier workplace in 2017.